The history of Invincible Furniture. In 1904, the Invincible™ Electric Bank Protection Company began in Belle Plain, Iowa. Among the products produced were burglar alarms, safe deposit boxes, vaults, and iron safes. 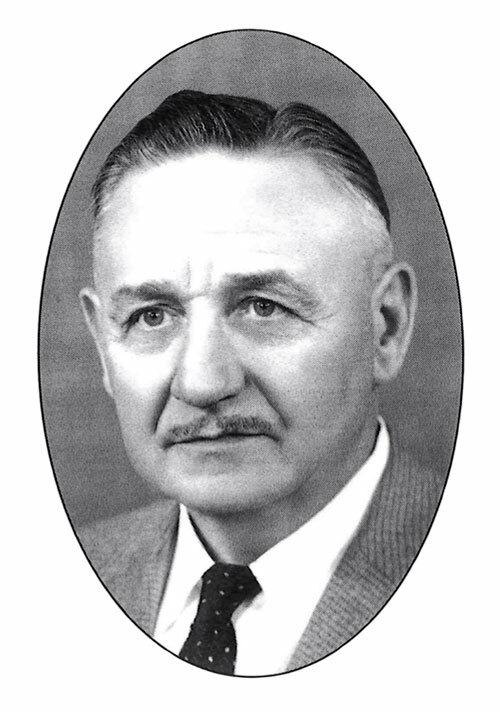 Reorganization took place in early 1913 and the firm began to manufacture metal office furniture in addition to the bank protection products. The company then headquartered in Monroe, Wisconsin, demanded more room and moved into two adjacent factory buildings in Manitowoc, WI. The new facility was 19,000 square feet on two floors and was located (at the present site) on the western boundary of the city at the corners of Franklin and 26th Streets. The former mattress and toy plants now became the Invincible™ Metal Furniture Company. As the United States entered World War I, the U.S. government awarded Invincible a contract for metal lockers to be used on Navy ships and other war materials. This contract continued through the end of the war in 1919. By the end of the Depression over half of the country’s banks had closed, the market was flooded with used equipment and the demand for new bank protection equipment had evaporated. The company redirected all production and engineering efforts toward office furniture. 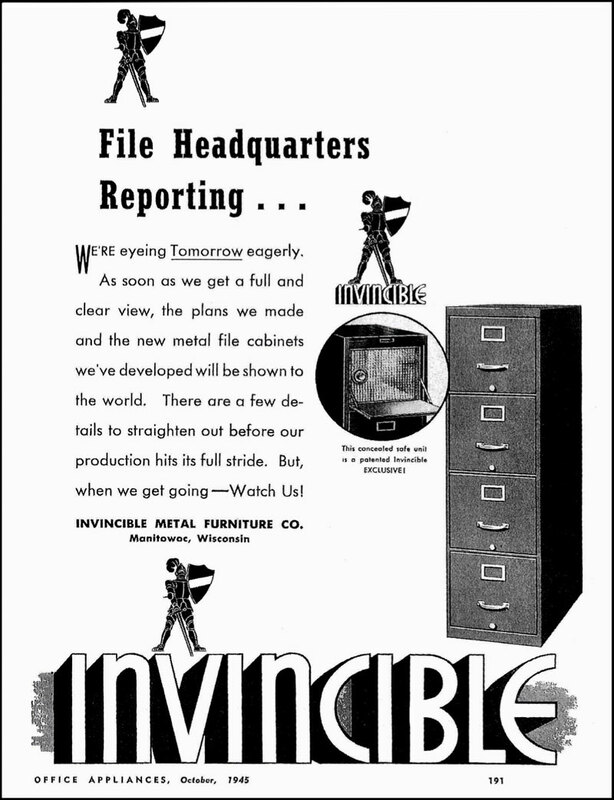 During the years after the Depression and into World War II, Invincible distinguished itself as a nationally known producer of metal filing products. Factory additions were a regular occurrence. Specialty files, as well as traditional vertical files were the mainstay of the business. A patented “personal safe” could be built into any of the 2, 3, and 4 drawer cabinets. It wasn’t until World War II was over that Invincible introduced their first line of desks. The Modernaire was introduced in 1948. 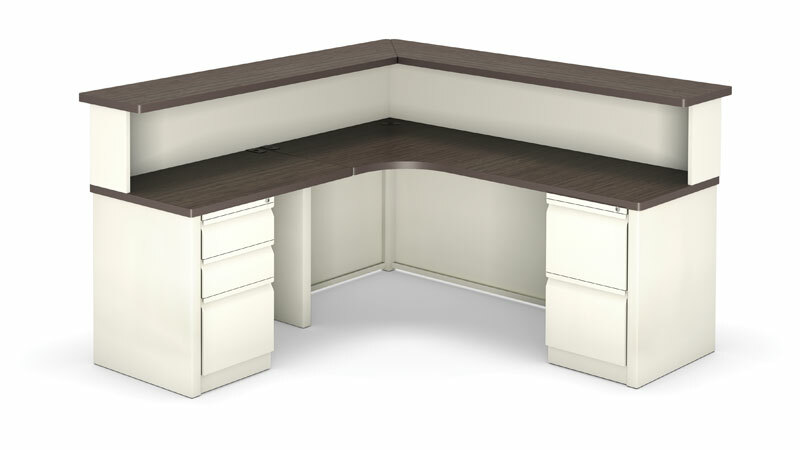 It became the signature product line of the company for the next 50 years and is still produced today as the M-Line desk. 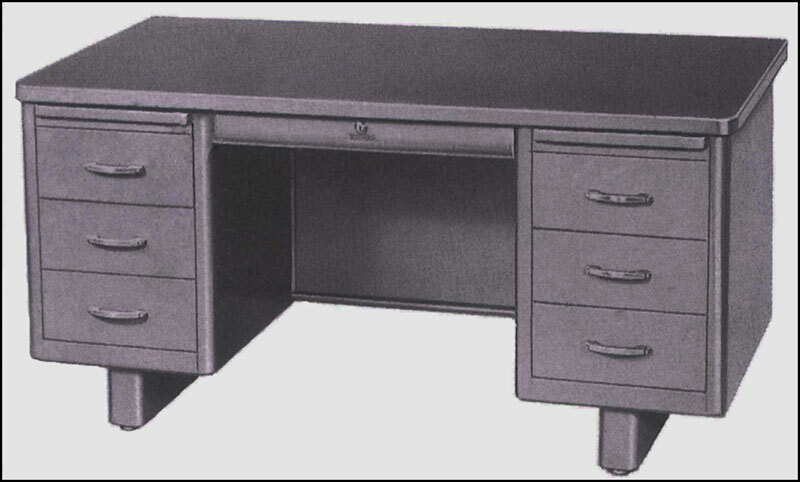 Desking systems were expanded again in 1960 with the introduction of the S-Line series. Soon to become the industry standard, the S-Line has been imitated by many and equaled by none. 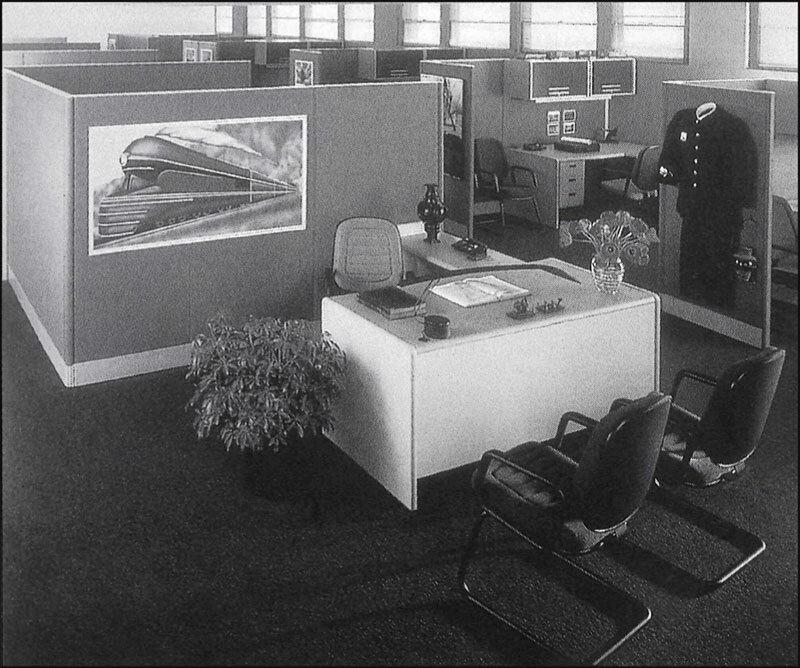 By 1970 a cleaner look became popular and the Cube Desk burst into corporate offices across the country. Later in the 1970’s panel system “cubicles” became the norm for offices throughout the world. Invincible™’s entry into the panel system market followed our tradition of excellent design and engineering to give us a system that was built beyond BIFMA specifications. One of the only panels available with a complete steel core, we have greater “hang-on” strength than most any other panel system. More recently, Invincible™ has introduced VISTA. 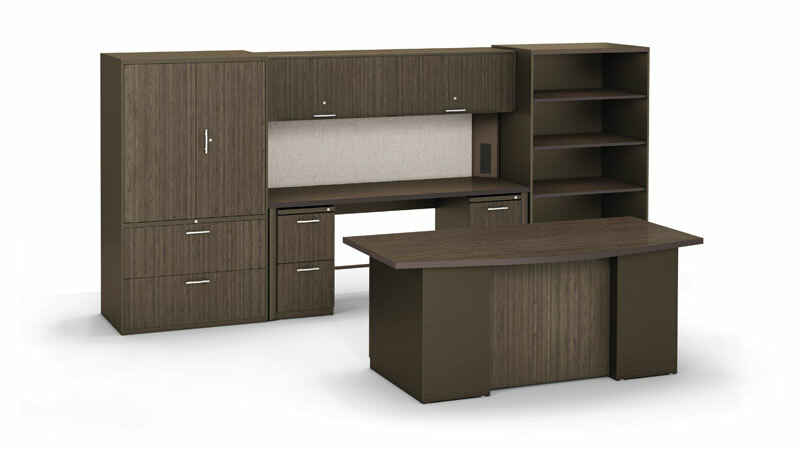 This line of modular configurable furniture has the unique ability to combine our full height panels, traditional casegoods and privacy screens. Bringing together attractive design, easy installation and functionality, and the ability to reconfigure, VISTA has become our leading product line in the new millennium. As the company grew through the 1980’s and 90’s, manufacturing and warehousing expanded to over 300,000 square feet. A growing network of contract furniture dealers led by an organization of independent manufacture’s representatives was developed to serve customers across the nation. Showrooms were opened in Chicago, New York, and other major markets. In May of 2008, the Invincible Metal Furniture Company was purchased by regional entrepreneur and investor Mr. Steven Schenian. Mr. Schenian recognized the value of the company’s skilled workforce. He also understood the quality of the Invincible product line that had been engineered to high standards and refined over many years. So began a new era. The company now operates under the name IMF Solutions, LLC, d.b.a. Invincible Office Furniture Solutions. Shortly after purchasing the company, Steve hired James Lieser as President and CEO. Jim brought to Invincible 25 years of leadership experience in marketing and manufacturing and has instilled a culture of employee-driven continuous improvement. Invincible™ has made a renewed commitment to providing affordable high-quality products and excellent service. After large investments in automated cutting, piercing, and bending equipment, laser cutting technology, automated material handling equipment, plant reconfiguration, and a new network server, Invincible is positioned for growth. During the spring of 2009, Invincible was awarded a new 5-year GSA contract, now covering the entire Invincible catalog. Our GSA contract, multiple state contracts and programs, and strong partnerships with office furniture dealers across the country allow us to effectively service higher education, healthcare, government, K to 12, and commercial customers. Our dealer partners are supported by high caliber Independent Sales Representatives with extensive office furniture experience. Invincible is the preferred choice for discerning, value-conscious customers desiring quality products at fair prices. Invincible with great resolve and conviction boasts, “Proudly Manufacturing in the U.S.A. since 1913”. The products that our employees, our dealers and our sales leaders represent are indeed products we are proud of. We have seen together world wars, the Great Depression, men on the moon, national tragedy, and America’s extraordinary resolve and the ability to recover. We thank you, our customers, for the trust you place in us. We especially appreciate your on-going support. Thank you! Over the 100 plus years that Invincible has done business, our logos through the years have represented the integrity, reliability, and the professionalism of a kingsmen, the Invincible™ knight, covered by the shield of lifetime warranty protection. Our current logo is a spin on of the knight’s headdress. It represents unity, teamwork, and strength. When you buy Invincible furniture, you are buying quality.